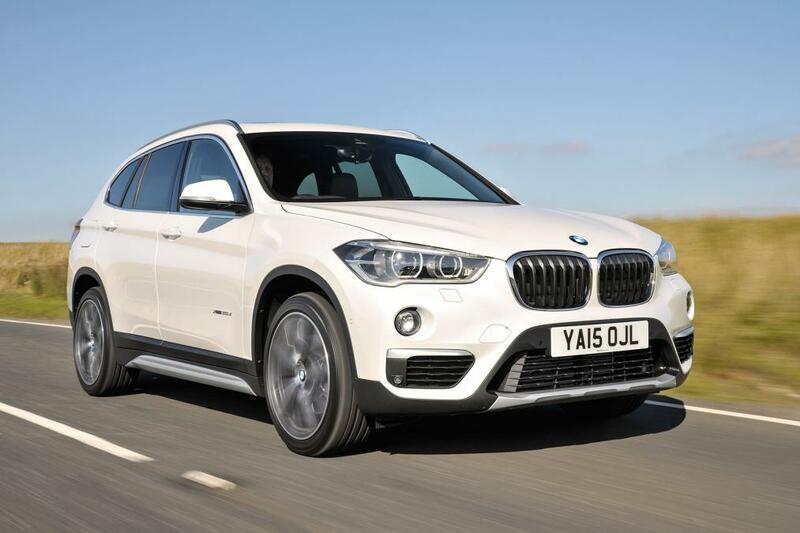 SUVs are immensely important to BMW, as they are to any manufacturer. Its X5 invented the large sports utility vehicle back in 1999, and the X3, X4 and X6 have come along since, winning new customers and dividing opinions. But the baby of the range, the X1, has always been the car that hasn’t quite fitted the mould. That’s all changed with this new 2015 Mk2 version, driven here in UK spec for the first time. BMW has grasped the concept that SUV buyers want a car that doesn’t scrimp on the pumped-up styling, and as a result has ditched the original’s softer look and created exactly what you’d expect BMW’s entry-level SUV to be like: a mini X5. The new X1 is 15mm shorter than before, but you’ll hardly notice this slimming down due to a 53mm increase in height and an extra of 23mm of width. These gains not only ensure the car looks more like a scaled-down X5, they also make it more spacious inside. There’s plenty of headroom and 37mm more legroom for passengers in the rear – and with more glass than the old car, the newcomer feels more roomy, too. Boot space has also taken a leap forward. The X1 now offers 505 litres – a considerable 85 litres more than both the outgoing car and the current Audi Q3, which is easily the BMW’s chief rival in the small premium SUV class. Fold the rear seats flat, and you free up 1,550 litres – that’s 200 litres more than in the old model, plus it trumps the Q3’s 1,325-litre capacity. Up front, the dash is covered in spongy, soft-touch plastics, while its design is typical BMW – mature yet beautifully built. Sat-nav is standard (as on all BMWs), plus you get a 6.5-inch screen, auto headlights and wipers, rear parking sensors and an electric tailgate. There’s only one petrol engine option in the UK – a 189bhp 2.0-litre – as the 2.0 diesels are predicted to take the lion’s share of sales. They range from 148bhp in the 18d and 187bhp in the 20d to this flagship 228bhp version, badged 25d. The entry-level 18d returns 68.9mpg economy and emits 109g/km of CO2, while the more popular four-wheel-drive 20d and 25d average in the high-50s for mpg and emit 128g/km and 132g/km respectively. We got behind the wheel of the most powerful diesel, which promises 0-62mph in 6.6 seconds. It’s urgent low down in the rev range, which means zipping round town is easy and there’s plenty of shove in the mid-range to aid motorway cruising. BMW’s eight-speed auto is standard and shifts smoothly, ensuring the car is quiet on the move. But while we’ve yet to try the lesser 20d, the £2,380 pricier 25d is hard to justify on paper. It’s only a second quicker from 0-62mph despite having an extra 41bhp, and it costs £20 more a year in road tax. The old X1 was essentially a jacked-up 3 Series Touring, but this model uses the new small car platform that underpins the latestMINIs and BMW’s 2 Series Active Tourer. It benefits from a well balanced chassis, and thanks to our top-spec diesel’s standard four-wheel drive, the car is surprisingly agile and body control is kept in check. The steering isn’t as crisp as in some other BMWs, yet it’s sharp for an SUV and nudges it ahead of the excellent – albeit less upmarket – Ford Kuga. Parked next to its chief premium rivals, the X1 looks like more of an SUV than the crossover-like Mercedes GLA, while it's roomier inside than the ageing Q3 – if these are priorities, the BMW will be the most desirable choice. It’s also considerably more attractive than the old car, but with prices from £26,780, the new X1 can look expensive compared to the likes of the Mazda CX-5. Still, the lure of the BMW badge will be hard for some to resist.